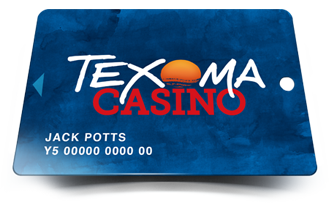 Find out all of the exciting prizes you could win when playing with your Texoma Casino Players Club Card! Open 24 hours a day, seven days a week, Texoma Casino has over 370 electronic gaming machines for visitors to enjoy in a 8,800 square foot facility. Texoma Casino, which is operated by the Chickasaw Nation, also features a bar area, convenience store, smoke shop and is located near Lake Texoma. For those looking for an exciting and convenient gaming experience, Texoma Casino is the place to play. 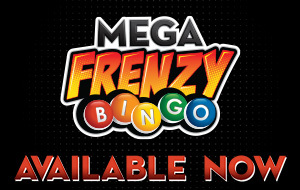 Get in on the action of Mega Frenzy Bingo, the exciting NEW way to play at Texoma Casino! Mega Frenzy Bingo is a progressive bingo game that accumulates a progressive prize award from a variety of participating casinos. Every game features a guaranteed progressive jackpot winner, so the more cards that are bought… the higher the final prize! Cards can be purchased at the Mega Frenzy Bingo Kiosks or at participating Cash Cages. All winners have up to 90 days to redeem their jackpot at any affiliated Mega Frenzy Bingo location. Learn more at MegaFrenzyBingo.com.